The local post office delivered the best smile to me yesterday. It arrived in a green envelope, and the contents were completely unexpected. The note and advertisement referred to my Reason to Smile Day 152: Memorable Road Trips. I don’t know what made me smile more: the fact that Pam read my blog or the fact that she still had the massager ad. 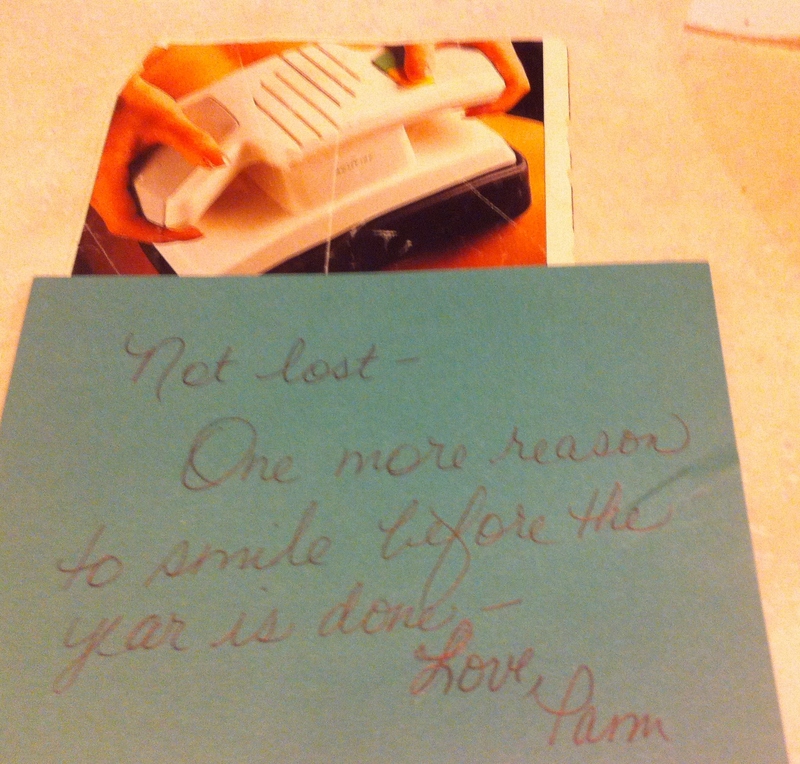 Either way, her message in the mail will always make me smile. Posted on December 12, 2013, in Family, My life, perspective and tagged 365 reasons to smile, friendship, life, mail, memories, musings, perspective, smiles, surprises, Thoughts. Bookmark the permalink. 31 Comments.